Hereby I want to present a list of virtual business incubators around the world. I’m absolutely sure that this kind of business incubation will be prevalent in the following years. So, let’s make this list together and help community of early stage entrepreneurs to find a better place to start on the one hand, and promote the new type of business incubation on the other. the first is fixed list. It’s presented on this page and will be updated by administrators of the blog and me. the second is editable. It’s Google Docs table. Thus, anyone interested can contribute and add the incubator to the list. We will highly appreciate if other virtual business incubators will add their information to the table. Here is the link to the Google Docs List of Virtual Business Incubators.You can also download this list as PDF. Check the end of the page also. We have posted there a couple of links to the other lists of business incubators. 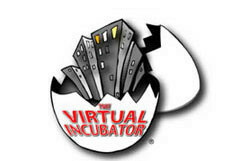 Below you will find a list of 65 virtual business incubators from all over the World. Enjoy and let’s keep it growing. If you want to add/change information about your business incubator, or you are just familiar with some that is not in the list, please send us this information. For the convinience anyone interested could contact us directly and send the information through the form below.